Quality Auto Body Repair & Collision Repair Services! Serving the Greater Austin, TX area For Over 28 years! “I was spending several hours everyday for weeks to find the best Auto Mechanic. I have used big auto body shops and they will do a good job but their estimates are sky high. They do good job if you pay 1.5 times or twice the price of small local auto body shops. I am an extremely picky person. I do not like average or above average quality work. I have high standards when it comes to my car. I only choose the best quality work. 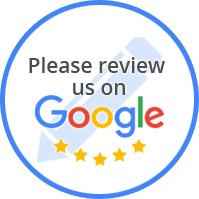 Fortunately, I read several reviews and decided to go with Qualitek Auto Body (located at 8530 South Congress Avenue, Austin, Texas 78745, 512-292-8014). These guys ROCK!! I don't usually write reviews, as there is so much average or below average service out there. I WAS ABSOLUTELY IMPRESSED with Qualitek. They went ABOVE AND BEYOND my expectations. It is rare to see a business that still takes pride in their work, and does it with integrity. Javier (the owner) is one of the nicest guys you'll meet, and I have made a friend after they fixed my truck. I would HIGHLY RECOMMEND these guys for whatever your body or frame repair needs are. “These guys are fantastic. My mom got hit recently and we took the car there. Even though we wound up not using their services (car was totaled and will be going to salvage), Eddie and crew have been nothing but kind, helpful, and generous to her, going out of their way for free to help her through insurance and other issues. “I took my vehicle to Qualitek BodyShop. Eddie was very polite and helpful. He took care all everything, calling the insurance and dealing with any paperwork that needed to be handled. I was amazed wtih the outcome my vehilce looks new!!! I recommend this body shop to anyone who needs body work on their vehicle!!! Thank you Eddie!! “I hit a deer at 55 mph. My car won the exchange...barely. I was highly recommended to take my badly damaged Acura MDX to Qualitek. My car now looks better than before, in fact as good as new! When my insurance company resisted covering one area of damage, Qualitek fought to get them to pay up and won. I wholeheartedly recommend this shop. Javier & Eddie and the whole crew are top notch. “These guys did great work repairing my car after an accident. They worked with me and my insurance company to make sure I got the best parts for my car and helped me out with my deductible. The owner, Eddie, was very nice and courteous. “I am not used to giving glowing reviews to anybody, for anything. But there are always exceptions to the rule. I brought my practically mint Mercedes S-class to Javier and Eddie after a Geico client pushed his Honda into the right side of my car doing a stupid move in traffic. I didn't trust any other shop Geico was going to send me. Their online ratings sucked, so I opted to take a chance and visit Qualitek. They were rated highly on City Search, and I was impressed by the relaxed atmosphere, and seeing great work at their shop, I decided to let them do the job. “My Honda Element was the unfortunate victim of my driving into the car in front of me. I took my car to Eddie and the crew at Qualitek, and didn't worry at all. Eddie called me whenever there was an issue or judgment call that needed to be made. He even insisted that I come in to check out the quality of parts! WOW-that's really caring about the work you do, and that's harder to find these days. My car was even ready in one week vs. the two weeks the I was quoted! That's half the time. I cannot say enough good stuff about these guys, God forbid you need their services, but be glad they are there when you do. Have no Fear! Qualitek is here! Seriously, go talk to these guys, you will be glad you did. Thanks Javier/Eddie, for providing such a great experience! I was completely happy. “I wanted to pass the word around about my wonderful experience with Eddie and Qualitek. After being screwed around with at another body shop, it was such a relief to have all my car problems whisked away. It was taken care of in a timely manner and Eddie kept in constant contact with me as my car was being fixed. “After reading the reviews I took my Toyota Highlander to Qualitek for a new front end. The quote was reasonable & in writing and best of all the work was outstanding. The paint & part match is amazing. “Qualitek is a great body shop that will get your car looking like new in good time. HONEST, TRUSTWORTHY, POLITE, AND THEY DO THE BEST WORK. The main reason you should go with Qualitek is because they'll work for you, not the insurance company. Chris and Javier will make every effort to fix your car and to get your insurance to cover it. DON'T GO WHERE YOUR INSURANCE COMPANY TELLS YOU TO. You can go to any body shop you want, so why not go to the best? If you want the best service and don't want to pay anything extra, go to Qualitek. My new Saab 9-3 had bad front-end damage, I simply left my car with Chris and went out of town for a week. When I came back my car was like new, detailed and everything. All I had to do was just sign some papers and Chris took care of the rest with my insurance and even saved me some on my deductible. One of the other great things about Qualitek is that they do everything they say they will. If they say they'll call you the next day or take a look at something for you, they'll do it exactly like they said. They're also very easy to get in touch with. “I appreciate the great work Qualitek Auto Body did on my 2004 Niss 350ZX. I was afraid the car would never be the same but after driving it for three months I can say the car is as perfect as it was before the accident. Chris handled everything for me, All I had to do was speak to the insurance one time and he handled the rest. I have done business with Qualitek for about ten years now and have always been treated with respect and courtesy. All the employees go above and beyond to make sure my vehicles are fixed right the first time. “I was rear-ended recently and my vehicle sustained fairly severe damage. I nearly made a horrible mistake and chose a larger chain to take my car in for repairs. Luckily, I just happened to read the reviews here on CitySearch and decided to take a chance on a small independant body shop. I could not be happier with the results! Everyone at Qualitek was extremely nice and helpful and they made absolute certain only the best possible replacement parts were used to repair my car. Their work is 100% guaranteed for LIFE. If you care about your vehicle, Qualitek is the only place in Austin you should go! “I accidentally scratched my 2006 Black Murrano , which needed the back door to be replaced besides some other dents. Chris provided me a very good conservative estimate. The car was promised on a Monday and I got it on Friday (3 days earlier) which was a very nice surprise. “Qualitek is without a doubt the best body shop in town. period. “I went to Qualitek before going to the insurance company's provider after reading various online reviews. I was immediately impressed with Chris's explanations and intelligence, and got his estimate. When I went to the insurance company's appraiser/provider, it was immediately apparent that they only worked for the insurance company, not for the customer. I took the insurance appraisal to Qualitek and had old-fashioned customer service, competence, and friendliness that I didn't think existed in today's world. Chris took care of the rental car, worked with the insurance, gave me a good price, and the car looks like new. Just as I was leaving, Chris noticed some "scratches" on my trunk where I had been putting things on it. It was late afternoon, closing time, but Chris,the manager, and Javier, the owner, were buffing the trunk until it too was perfect. I said this is as good as it gets: the manager and the owner working to make things perfect. They said, "We work as a team. We work for the customers." And they do.